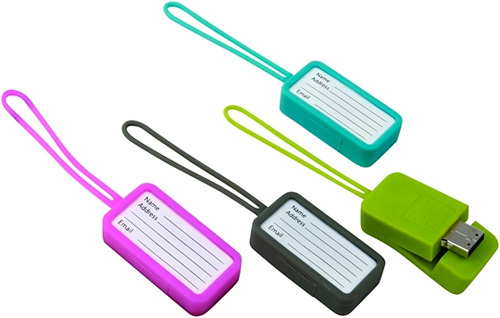 Luggage Tag USB Flash Drive Could Increase Your Chances Of Seeing Lost Luggage Again | OhGizmo! More reason for someone to steal my bag. *FLASHING SIGN* BAG MAY CONTAIN EXPENSIVE TECH! The USB is all around and taking avatar of anything. It is a different make over. Looks to be a handy tool :)) I like to collect flesh memories with a unique design this could go to my collection !!!! In case of lost this item would be easily return to the owner.